There can be many reasons why your cannabis plant is growing slow or has stopped growing altogether. It could be a factor in your growing environment such as temperature being off, a problem with nutrients, or something else. Let’s look at the top 10 reasons behind slow and stunted cannabis growth. When you are growing cannabis, you may sometimes think that you have taken care of everything. Then, seemingly out of the blue, you notice that your plant has stopped growing or is only growing slowly. This can happen during all stages of your cannabis plant’s growth—early in the seedling stage or later in the vegetative growing phase. Why won’t your seedling grow? 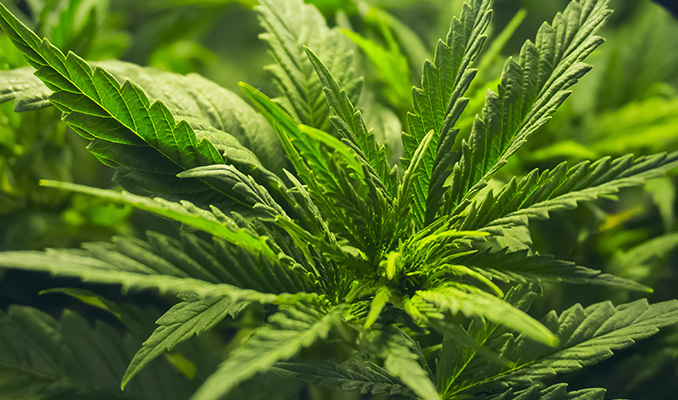 What could be the reason for your cannabis plant developing slower than it should? Here are some of the most common reasons for slow and stunted growth. Many cannabis growers, especially those new to cultivation, tend to overwater their plants. Overwatering is indeed one of the most common (and lethal) mistakes when it comes to growing weed, and can cause many growing problems as a result. Slow and stunted growth of your plant can be due to nutrient deficiencies, root rot, or infestation, all of which can be catalysed by excess water in the substrate. If you want to water your plant right, don’t do so on a schedule—just when your plant needs it. It is always better to water less often so that the soil can dry out. A good test of whether you should water your plants is to lift the pot. If the pot is heavy and damp, it’s not time; if the pot is light and dry, you’ll know it’s time to water. Some cannabis growers have a tendency to overfeed their plants, but not giving plants enough nutrients is another culprit of slow growth. If you’re growing with a pre-fertilised potting mix, know that the nutrients in these will normally only last some weeks to a month. After that time, you need to administer your cannabis with phase-specific nutrients to support healthy development, and eventually, robust flowering. However, know that nutrient requirements for your plant can vary. This will depend on the strain that you’re growing, as well as other factors such as temperature and how much light your plant is getting. If you’re growing under intensive grow lights, your plant will need more nutrients than if it were growing under less light. Low-quality or old cannabis seeds are a common reason for all sorts of growing problems. If you use low-quality seeds, your plant may grow slow and stunted, or your seed may not even germinate at all. 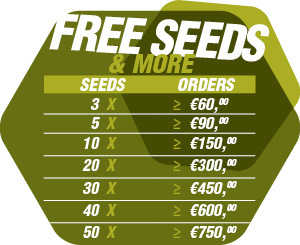 For best results, choose only quality seeds like those you can get at Zambeza and other reputable seed banks. With Zambeza Seeds, you will receive the best genetics so your cannabis plant will have a great start to its life, and a much better chance of healthy growth throughout all stages. Cannabis needs a lot of light, especially in the flowering phase. But your plants will also need sufficient light to support their vegetative growth. Although light requirements may vary between strains, all plants need a baseline amount of light exposure to prosper. If you grow indoors and feel that your plants are not getting enough light, you should be able to simply lower your lights, decreasing the distance between the lamp and the canopy. If you’re growing outdoors, make sure you plant in a spot with a lot of direct sun, or move your pots around throughout the day to maximise sun exposure. Again, cannabis plants love and require a lot of light; but too much is not a good thing either. Constant direct exposure to intensive sunlight or high-intensity indoor grow lights can stress your plants, which can lead to slow growth and other problems. If you think that too much light is behind the issue and you are growing indoors, move your plants further away from your lights to decrease the intensity. If you’re growing outdoors in pots, move your plants to a location with diffused or partial sunlight if possible. In addition to the amount of light, the spectrum of light plays an equally important role. Some types of grow lights, those with a warmer, more reddish light spectrum, are more suited for flowering, while other lights can emit a colder, blueish light that is better for the vegetative phase. Make sure that you use a light in the right spectrum, otherwise your plant may grow slower than normal. Many common grow lights today are suitable for both your plant’s vegetative and flowering phases. However, if you are not sure, make sure you read the description for the light or ask the vendor before you purchase. Cannabis requires many vital elements for healthy growth, and calcium is one of them. If your plant is experiencing a calcium deficiency, it will mostly affect new growth on top of your plant. You may observe symptoms such as slow or twisted new growth, or the leaves turning purple or yellow. In time, your whole plant will take on a sickly appearance. Although most cannabis nutrients should contain adequate amounts of calcium for healthy growth, a deficiency can still occur. Some growing media such as coco increase the risk for a calcium deficiency. This is also why coco growers normally use special coco nutrients or add Cal-Mag products to their nutrient regimen. You can also add dolomitic lime to your soil to avoid a calcium deficiency. Along with overwatering or overfeeding, problems with the pH value of the water or nutrient solution are a common reason for slowed growth. Cannabis is rather picky when it comes to correct pH value, and if your plant is not within a healthy pH window, it cannot take up nutrients—even if they are present. If you grow your cannabis plant in soil, ensure that your water or nutrient solution has a pH value of 6.5–7.0. For hydro, the optimal pH for cannabis is 5.6–5.8. If you grow soilless, including in coco, make sure the pH value for your water sits at 6.0–6.3. Have you ever wondered why you should start your plant in a small pot and only later repot into a bigger container? The answer is that a tiny seedling cannot absorb all the moisture present in a large pot, which can lead to all sorts of troubles. Mature plants with a large root system won’t have this problem as they can drink much more. One other issue with large pots is that they will take much longer to dry out. And just as with overwatering, the large pot and the stagnant moisture can incite slowed growth and a host of other problems. Always start your seed in a small container such as a cup or jiffy pot, then transfer it into a larger pot once your plant has a set of 5–6 leaves. If you have already planted your seed in a large pot, make sure that you water only in a small area around the seedling. Cannabis, like many other plants, grows best at moderately warm temperatures. The optimal temperature range for growing weed is between 25 and 30°C, although nighttime temperatures should be a few degrees lower. If it is too cold, this will slow down your plant’s growth. Likewise, you want to avoid exposing your plants to excessive heat. Temperatures that are too high can also lead to slow growth or halt plant development altogether. If you are growing indoors, make sure that the temperatures are at a comfortable level for your plants and that your grow room is well-ventilated. Sometimes a simple fan can be all that’s needed to get grow room temperatures under control. No reason to panic if your cannabis plant is growing slow! 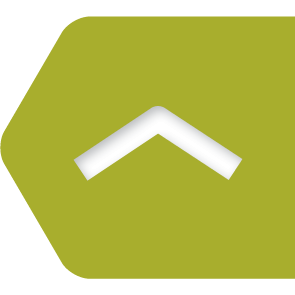 With our guide, you should be able to identify and address the most common reasons for slow and stunted growth.